The Hunter Oath increases your stamina regeneration rate; it synergizes with practically everything. If you use weapons that cost a lot of stamina to swing about, such as the Hunter Axe, this Oath can help you maintain enough stamina for defensive rolls... or more massive axe swings! It also works well with Beast Transformation; better stamina regeneration means more consecutive attacks, which it turn increases your damage multiplier from the Beast gauge. 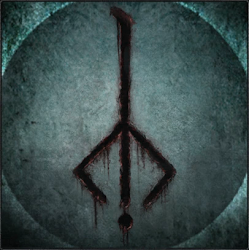 Utilizing this Rune marks you as a Hunter of Hunters. Testing: Gif on the right side shows results of the test, without Hunter rune equipped (base) it took 105 frames to fully regenerate depleted stamina while when rune's effect was active it took 99 frames, making it ~6% increase of stamina regeneration. Online Factional Conflict: Your Oath Memory Slot marks your factional alignment. 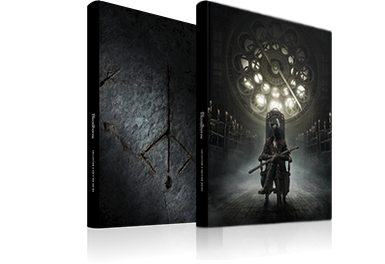 There are four possible Oath types: 'Corruption' for Vileblood, 'Radiance' for Executioner, 'Hunter' for Hunter of Hunters, and 'None'. Executioner and Vileblood are naturally opposed to each other, and Hunter of Hunters has a set chance to oppose players with any of affiliations. By using the Sinister Resonant Bell, you have a 5% chance of becoming a "Blood Addled" Hunter, which is in opposition to Hunter of Hunters. If you attempt to join a co-op session as a guest and the host is a member of an opposing faction, you will instead be summed with the task of killing the host as a nemesis. For example, if you bear the Radiance Rune and the server's matchmaking pairs you with a player bearing Corruption, you will be summoned as a nemesis, even if you intended to join co-op play! 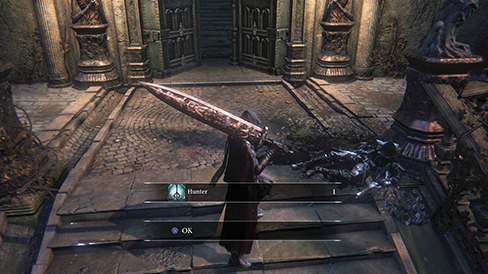 Similar to using the Sinister Resonant Bell, the rewards for killing the host are 10% of the Blood Echoes they require to level up and 1 point of Insight. To host PvP with the beckoning bell using the Hunter Oath Rune, host must be "Blood Addled" you become one by invading other players. In japanese item description there is a line which explains Hunter rune mechanics better: 狩人狩りの敵は、血に酔い、不吉な鐘に共鳴する狩人である which roughly translates to "The enemies of the Hunters of Hunters are Hunters who become blood-drunk from using the Sinister Resonant Bell."